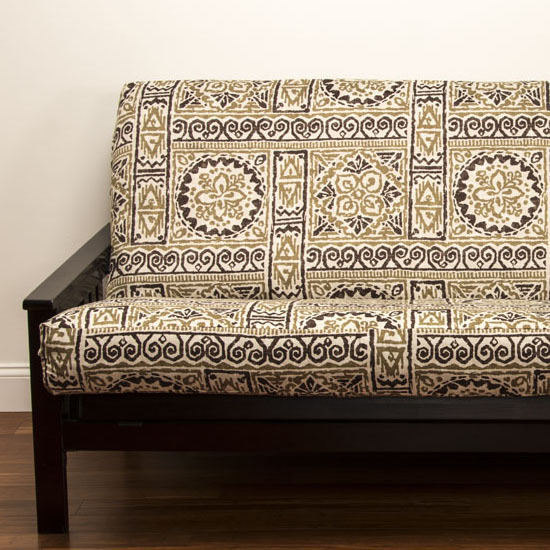 Jordan Futon Covers are manufactured by SIS Covers, well known throughout the futon industry for producing the highest quality covers on the market. The Fabric is 100% Polyester, colorfast & machine washable. � Colorfast & machine washable. � Covers available in a variety of lofts & sizes. Futon Covers available to fit 8 inch (standard) or 10 inch futon mattresses*. *Otis brand futon mattresses have squared edges and work best with 10" covers. SIS Covers and Pillows are made to order and drop shipped to you directly from the manufacturer, usually within one week. Time in transit can vary from 1-5 business days depending on destination. SIS Covers guarantees all products on workmanship and materials for life. We cannot be responsible for normal fabric wear, sun damage or damage caused by misuse.